Robert B. Kennedy, 78, a well-known Lowell resident making his home in the Belvidere section of the City, died Tuesday afternoon at his home. He was the beloved husband of Janet V. (Wajda) Kennedy with whom he had recently celebrated their 40th wedding anniversary. Born in Lowell, Massachusetts, February 6, 1940, he was the son of the late Leo J. and the late Mary (White) Kennedy. Bob attended Lowell schools and was a graduate of Lowell High School Class of 1958 where he was captain of the LHS golf team. Bob went on to attend Bentley University where he received an Associate’s Degree in Accounting and Finance and then attained his Bachelor of Science in Industrial Management and Business Administration from Lowell Technological Institute (NKA U/Mass Lowell). Over a career that spanned some four decades in both the public and private sector, Bob was a dedicated public servant whom served with distinction his City, his constituents, his neighbors and friends. In the private sector, Bob began his career as Licensed Technician for both American and Trans World Airlines, an Account Manager for Vespa of American Corporation, and a Business Manager for New England L.N.G. Corporation (Transgas). In the public sector, he began his career when he was elected to the Lowell City Council in 1971 and served til 1975, then returning from 1981 to 1985 and later from 1988 to 1990. During that time Bob also served the Massachusetts House of Representatives for the 46th Middlesex District from 1975 to 1979 and as the Mayor of the City of Lowell from 1986 to 1987. 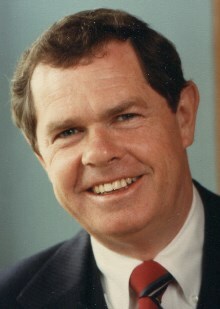 He was also a member of the Massachusetts Governor’s Council – 5th District from 1989 to 1995 and served as the Economic Development Director for the 5th Congressional District. Prior to his retirement, Bob served as the Executive Director/Administrator of the Lowell Regional Transit Authority for ten years where he oversaw the infrastructure of public transportation throughout the Merrimack Valley. Active in his community, Bob formerly served on the Board of Directors of Greater Merrimack Valley Convention and Visitors Bureau, Family Services of Greater Lowell, the Lowell Plan, and Long Meadow Country Club. He also served as the former Commissioner of the Lowell Historic Preservation Commission, Treasurer of the City of Lowell Development Authority and former Chairman of Greater Lowell Cancer Society, YMCA Building Fund, Greater Lowell Heart Fund and the United Way. Bob loved his family, his life-long “Hat Rack” friends and his Irish heritage, but above all, he loved Lowell. We celebrate all that he did, his passion, his fight, his sense of humor and a life well-lived. In addition to his wife Janet, Bob is survived by two daughters Katherine E. Kennedy of New York, NY and Eleanor F. Kennedy of Boston, MA; a sister Ann M. Kennedy of Brighton, MA; and many close cousins, nieces and nephews. Friends may call at the O’DONNELL FUNERAL HOME 276 PAWTUCKET ST. at Fletcher from 2 to 5 P.M. on Sunday. Relatives and friends are invited to attend his Funeral Mass to be celebrated on Monday morning at the IMMACULATE CONCEPTION CHURCH in Lowell at 11 o’clock followed by burial in St. Mary Cemetery in Tewksbury. E-condolences at www.odonnellfuneralhome.com. Those wishing may make contributions in his memory to The Michael J. Fox Foundation, P.O. Box 5014, Hagerstown, MD 21741-5014 or the Longmeadow Golf Club Scholarship Fund, 165 Havilah St, Lowell, MA 01852. Arrangements by Funeral Director James F. O’Donnell, Jr. (978) 458-8768. 2018-05-03 21:41:42 | Charlie Sullivan - Great Cient, Great Friend! !